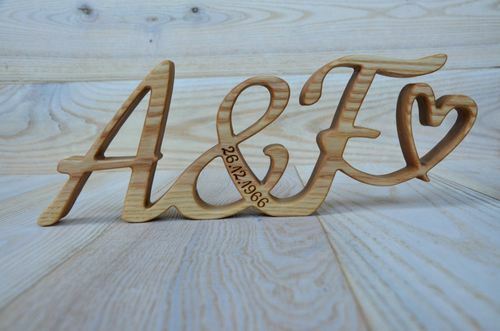 4 inches (100mm) large custom free standing wood initials - script wood word made of natural ash wood. 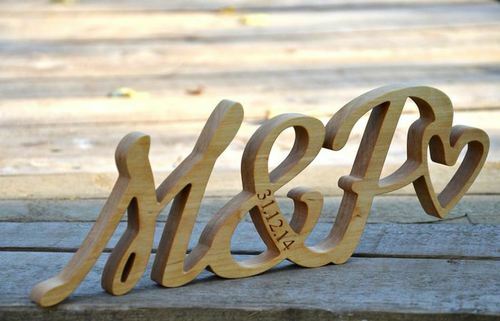 These free standing custom wood letters will be perfect for a personalized 5th wedding anniversary gift, wedding decor, Thanksgiving day gift, wedding gifts as well as for photo props and hone decor. Personalized text eg. 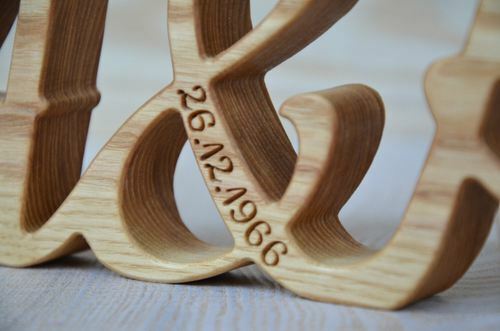 the wedding date engraved on the ampersand. We carefully sand each wood name so there are no sharp edges. 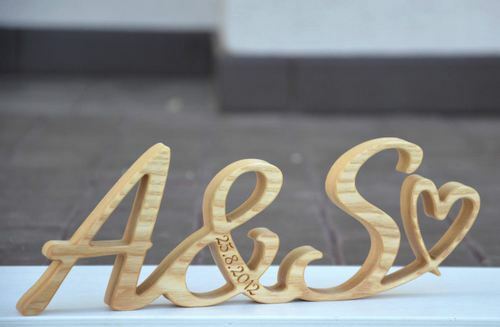 The plain and light texture of birch is wonderful for painting and coloring these wood letters so you can choose whether you want to have the wood name without beeswax polish which is perfect if you plan to paint or color these wood letters afterwards. 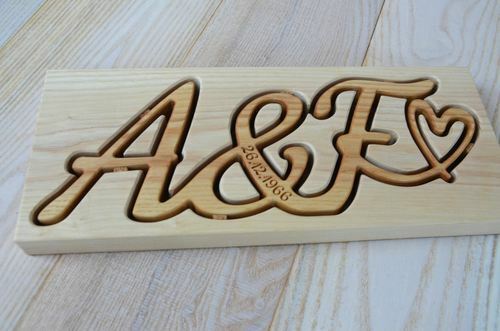 If you plan to use the wood initials all natural, then choose them polished with beeswax. Feel free to ask any question you might have! 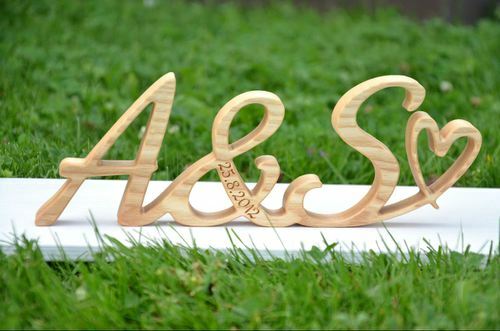 After we receive the payment, we will make the design/the sketch of the wood name or word you have chosen and we will send you it via e-mail or Etsy messages. As soon as we ship the package, you will receive the tracking number so that it is possible to follow the package online.